The claim that Hamas refuses to recognise Israel’s right to exist and that this makes negotiations with them impossible has been made again, this time by Israeli Prime Minister Benjamin Netanyahu. Neither the first part of the claim nor the second are true and negotiations should start without preconditions.It’s not just me that says so but many Israeli experts including the former heads of Mossad and of Israel’s Shin Bet military intelligence. In 2005 Mohammed Ghazal of Hamas said “The Charter is not the Koran. Historically, we believe all Palestine belongs to Palestinians, but we're talking now about reality, about political solutions ... The realities are different...I don't think there will be a problem of negotiating with the Israelis” (1). 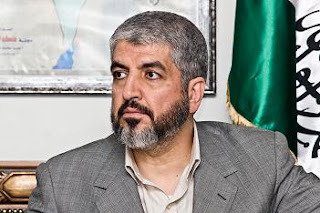 In April 2008 Khaled Meshal of Hamas said Hamas would accept the result of any referendum of Palestinians that decided to accept Israel's existence, including on some land taken in the 1967 war. (4). On 11th May this year Hamas' foreign minister (part of the Fatah-Hamas unity) government said he accepted the 1967 borders as the borders of an Israeli state (implying a two state solution, with Israel existing on the rest of its current territory) (6). Strictly speaking many of their offers have been of long-term 'hudna' or 'ceasefire' for 10 years or longer, but if there was peace for 10 years that'd give more influence to moderates on both sides and reduce the influence of hardliners. One expert has said the difference between a hudna and recognition is “semantics” (7) – (8). As former Israeli foreign minister Shlomo Ben Ami and Israeli professor Yossi Alpher (among others) have said, full recognition comes at the end of peace negotiations, it shouldn't be a pre-condition for them. Israel never demanded Jordan or Egypt formally and fully recognise Israel before negotiations began (9) – (10). 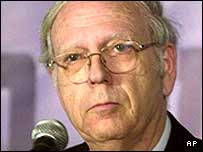 In case you think all of the above people are some kind of unrealistic liberals, Efraim Halevy, the former head of Mossad says Israel should talk to Hamas, who have have proven they can relied on to abide by and enforce peace agreements and negotiations ; and the former head of Shin Bet (Israeli military intelligence) Shlomo Gazit says the pre-conditions the Israeli government have placed on negotiations are "ridiculous, or an excuse not to negotiate.” (12) – (13). So Hamas does not need to recognise Israel before negotiations can take place. Not negotiating with Hamas, even after it won Palestinian legislative elections found free and fair by election observers from the EU, the Carter Center and others, has resulted in the political wing of Hamas sometimes losing control of some factions of it’s military wing, the Al Qassam Brigades (14). This shifts influence in Hamas towards those who believe only force will work and undermines the position of those who want to negotiate. 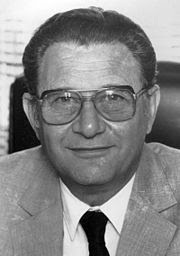 The Israeli government thought that by using military attacks (including targeting civilians and the wounded) and blockades against Fatah under Arafat in the West Bank and Gaza they would force Arafat out of power and get a Palestinian leadership who would be willing to make peace on whatever terms Israel dictated. Predictably, this did not happen. Palestinians reacted to military attacks killing civilians along with combatants (and to many Fatah officials’ corruption) by electing Hamas (15) – (17). Israeli government attempts to bomb, shell or blockade Palestinians into getting rid of Hamas have similarly failed so far – and if they succeed by continuing these methods the replacement will not be more moderate, but more extreme. It’s hard to believe the Israeli government don’t know this. Do we really expect Palestinians to react differently than Americans or Israelis would to the same treatment? Did September 11th make Americans more moderate? Dagan is not in the least liberal or left wing. 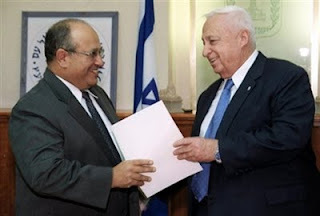 He was appointed head of Shin Bet by the notorious serial war criminal Ariel Sharon (then Israeli Prime Minister) in 2002 and Sharon never replaced him. So if Dagan thinks the Israeli government is heading too far to the right, be worried. The thought that Sharon was moderate compared to his successors is frightening. Dagan also implied another former Shin Bet head - Yuval Diskin (who has also recently been replaced) was equally at odds with Netanyahu and Barak. This suggests Israeli governments attempts to keep replacing intelligence agency heads to get ones who'll accept a harder line is spinning out of control. They may end up with the equivalent of George Tenet as CIA director before and during the US invasion of Iraq - men who are more politicians than agents or analysts who tell them what they want to hear, rather than the facts, with potentially disastrous results. Barak was also Defence Minister under the Labor party led coalition government during 'Operation Cast Lead' or 'the Gaza War' in December 2008/January 2009 and was previously Prime Minister in the 1990s. 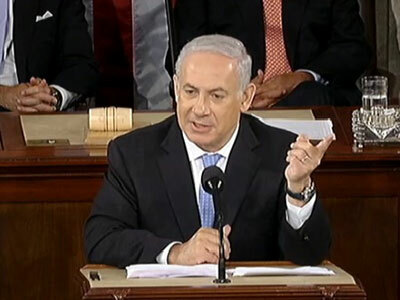 Dagan classing Netanyau and Barak as equally reckless is a confirmation of what many critics of Israeli government policy have been saying for a long time - the differences between the leadership of the Labor and Likud parties in foreign policy and in relation to the Palestinians are minimal. Both are hardliners. With two former heads of Mossad and one former head of Shin Bet already openly condemning Israeli policy (under both Labor and Likud led governments) the Israeli government and it's blind adherents will have difficulty presenting this criticism and calls for more constructive policies as "anti-semitic' or "anti-Israeli" or biased. No doubt they'll try though. "Self-hating Jew" is the standard propaganda charge used against Jewish or Israeli critics.